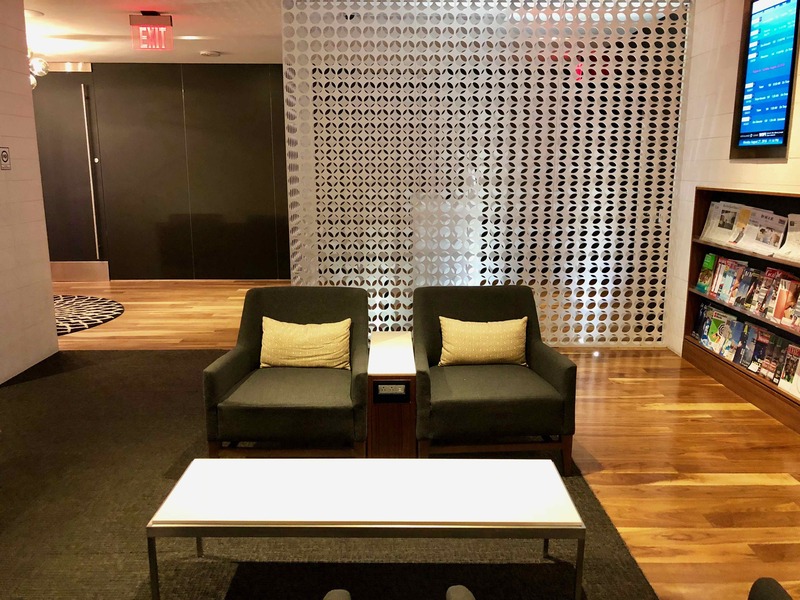 Star Alliance runs a number of shared lounges around the world, including the excellent Star Alliance Business Class Lounge Los Angeles in the Tom Bradley International Terminal. 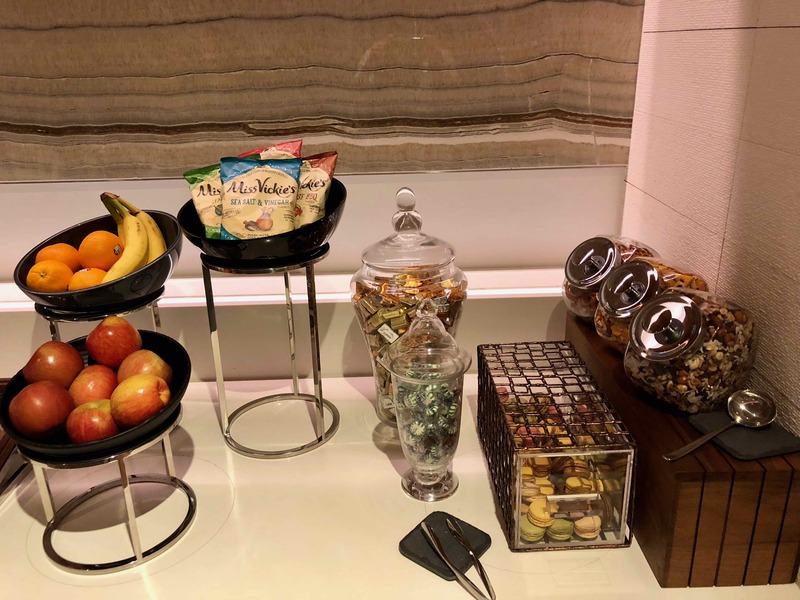 A separate First Class Lounge is available for First Class passengers and offers à la carte dining and a more private setting. 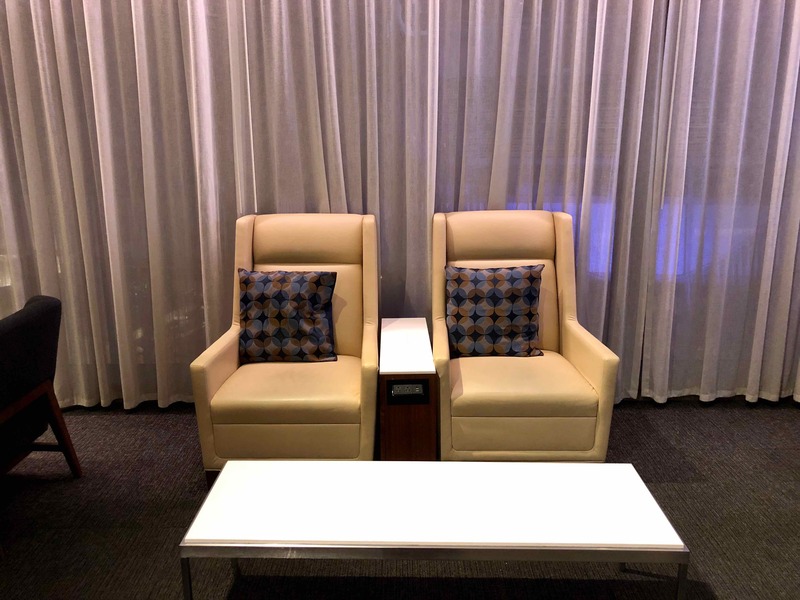 However, after dining in the First Class side, you may want to visit the Business Class side for more ample seating options, the open-air terrace and the shower suites. 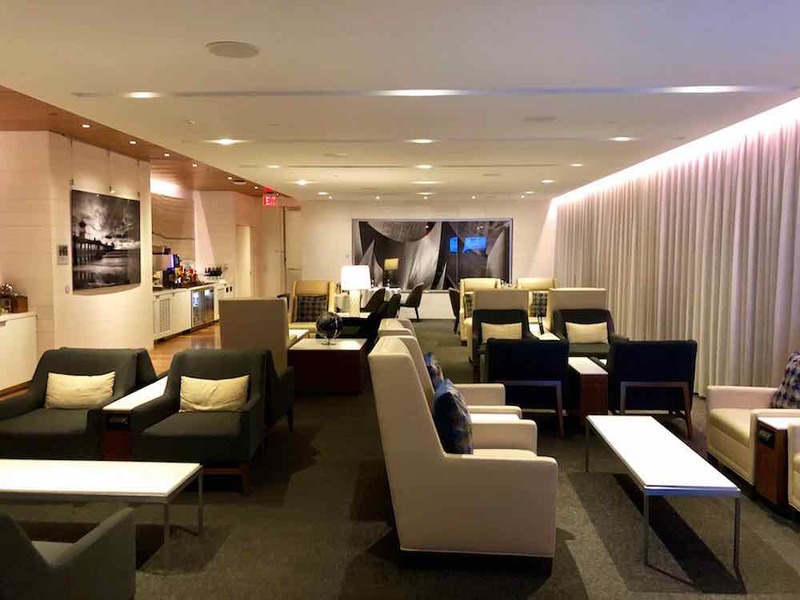 The lounge is located inside the TBIT central atrium. 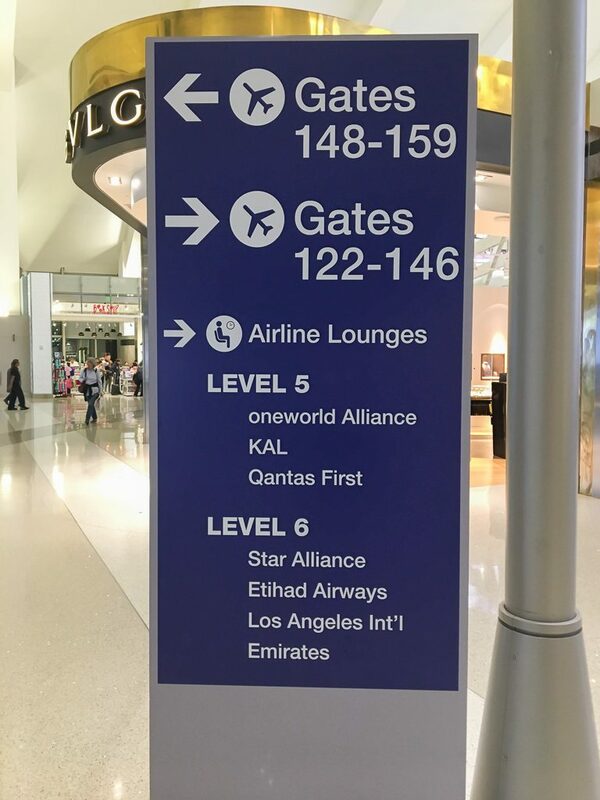 After exiting security, turn right toward the gates of the Northern Concourse and follow the signs to Mezzanine Level 6, which can be accessed via either a set of escalators or the clock tower elevator. 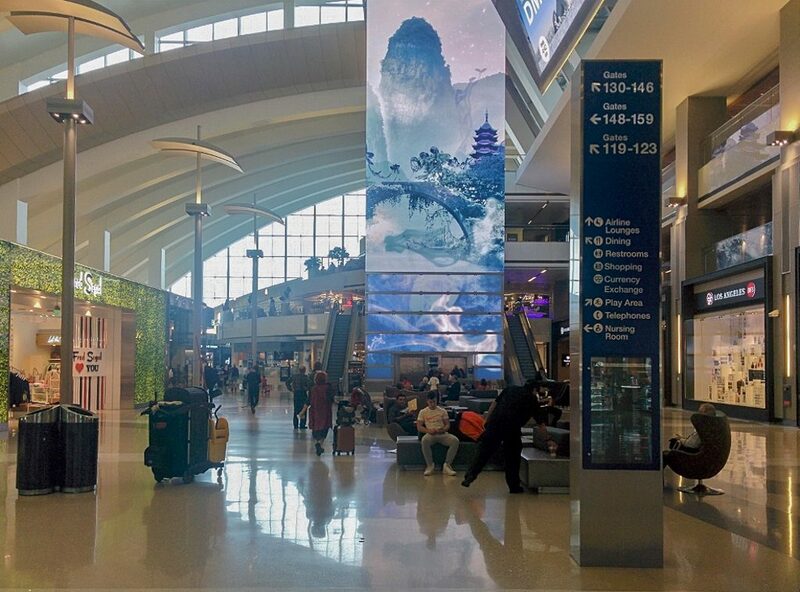 You may want to have a look at our top tips to avoid long security lines at LAX. 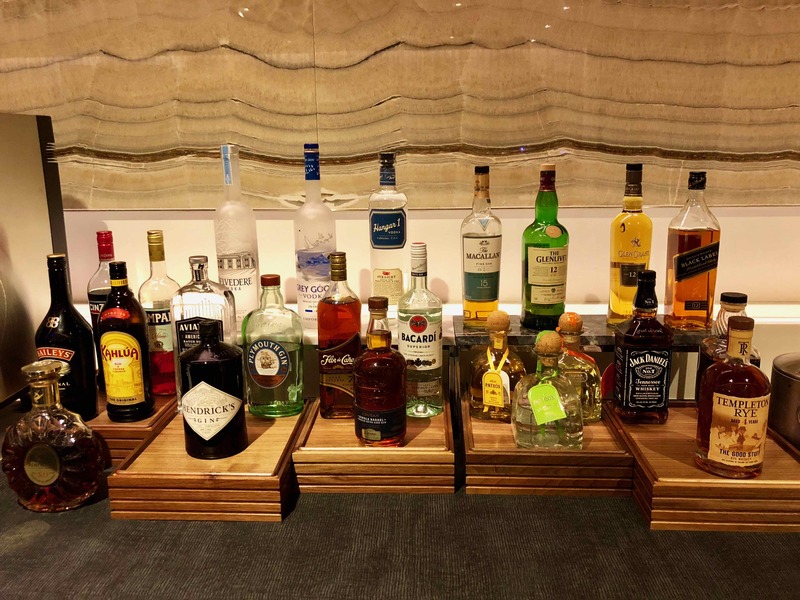 If you are facing the Business Class lounge, turn right to the First Class entry. 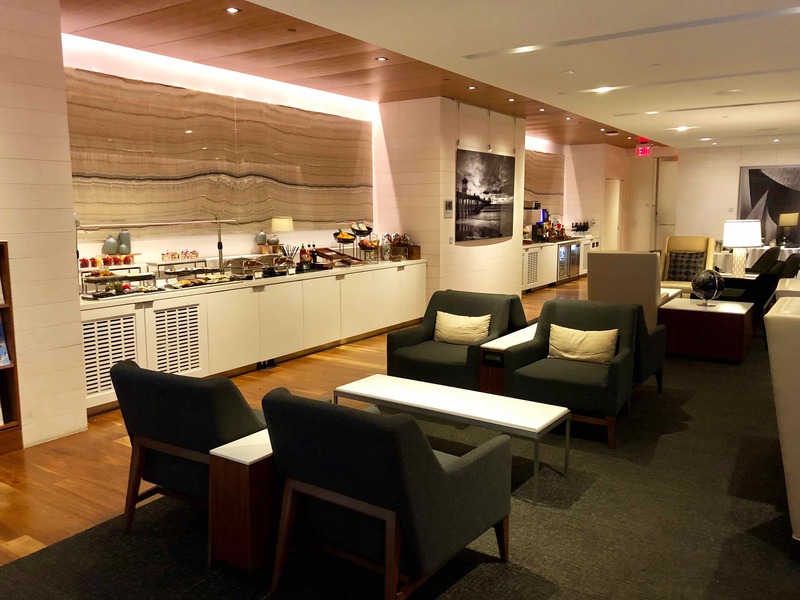 As opposed to the Business Class lounge, the First Class lounge does not overlook the TBIT mezzanine. 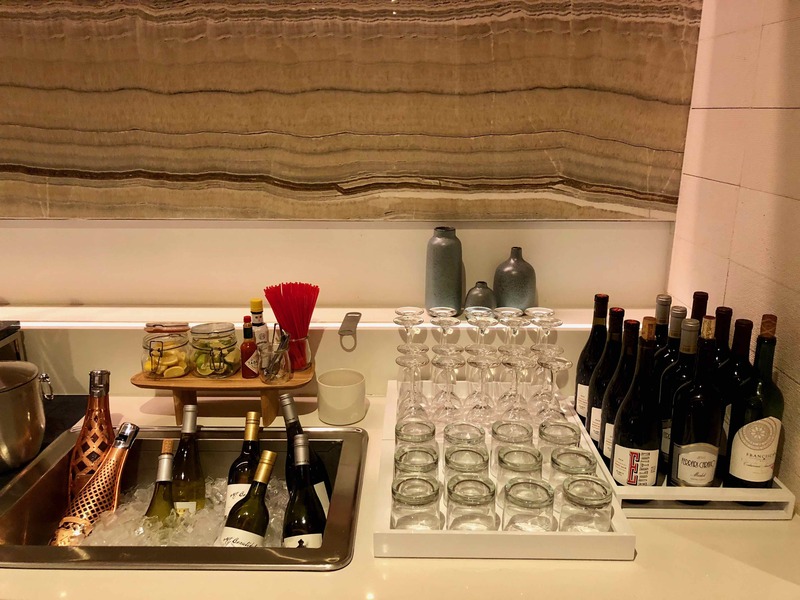 The standard opening hours of the lounge are from first departure to 12:30am, seven days a week but can vary depending on the needs of Star Alliance flights departing from TBIT on the day. 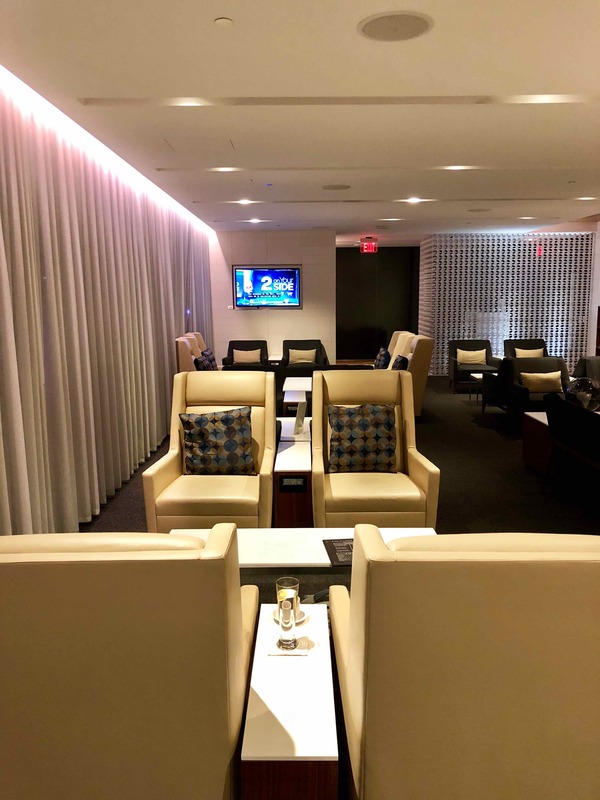 This lounge seats up to 30 people in its one large room, however, during my one-hour visit at 10:30-11:30pm, I was the only passenger in the lounge for most of the time and was joined by only three others later on. 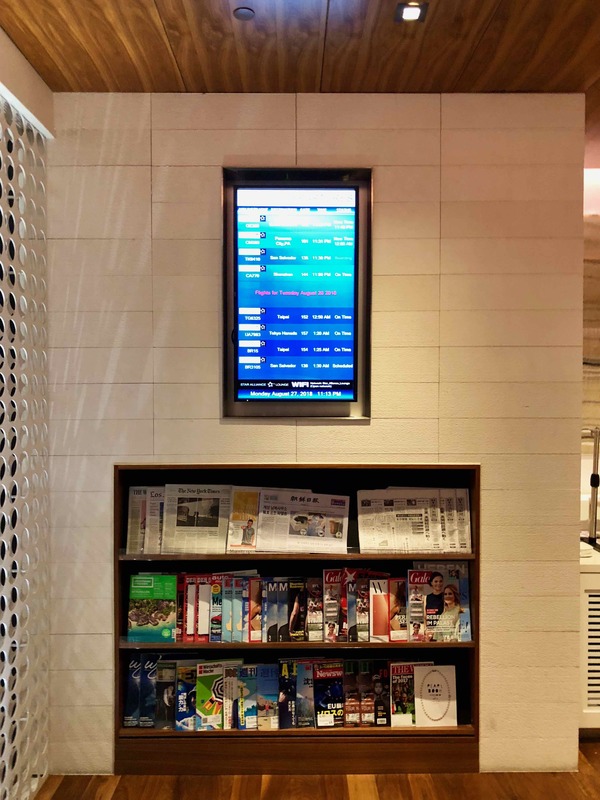 There is one TV, which was set to a pleasant volume level and, of course, magazines and newspapers available. 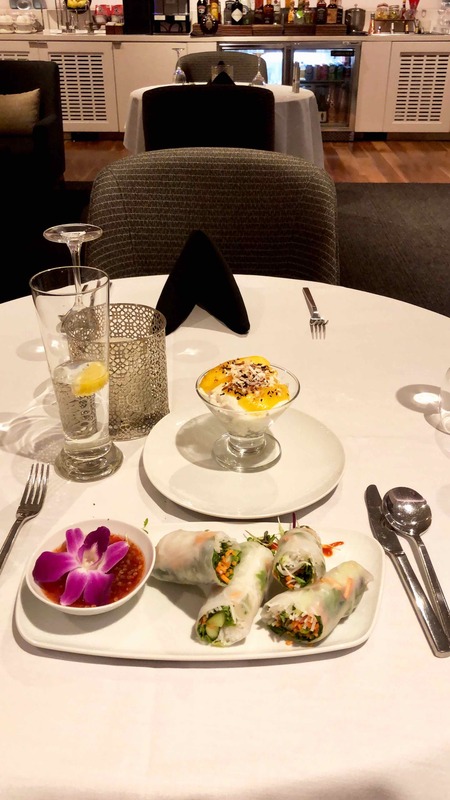 As I wanted to save my appetite for my ANA First Class flight to Tokyo (review coming soon), I opted to try only the vegan fresh spring rolls and sticky rice, both of which were hand-delivered by the chef within five minutes of ordering and tasted fresh and delicious. 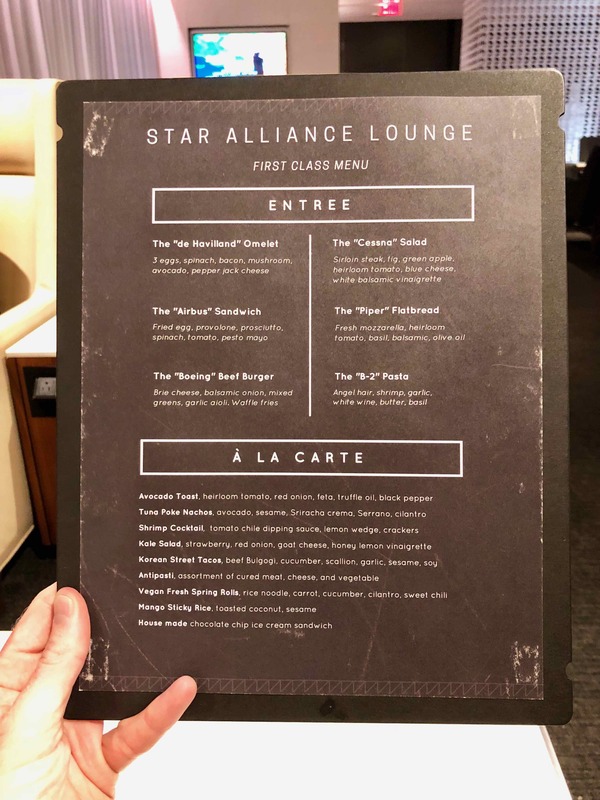 The sole lounge attendant took my order but did not offer any recommendations as they had not tried the food on the menu. 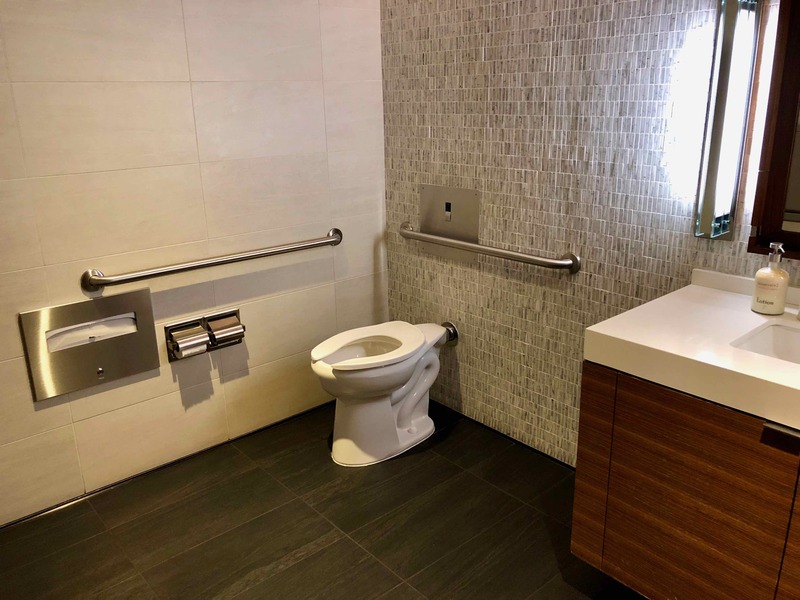 I found the service to be friendly but not polished, e.g. they failed to return to the table to check on how the food was tasting. 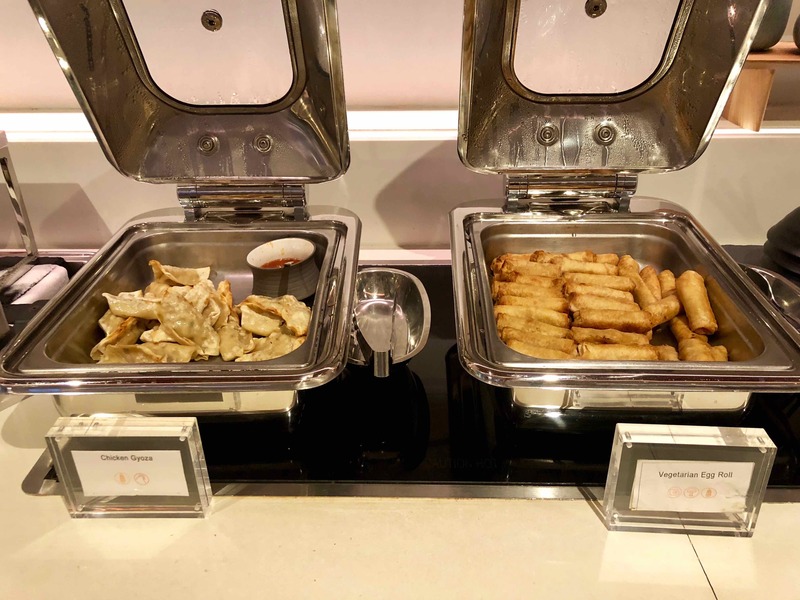 Note that you can also access the buffet on the Business Class side, including a make-your-own-Pho station. 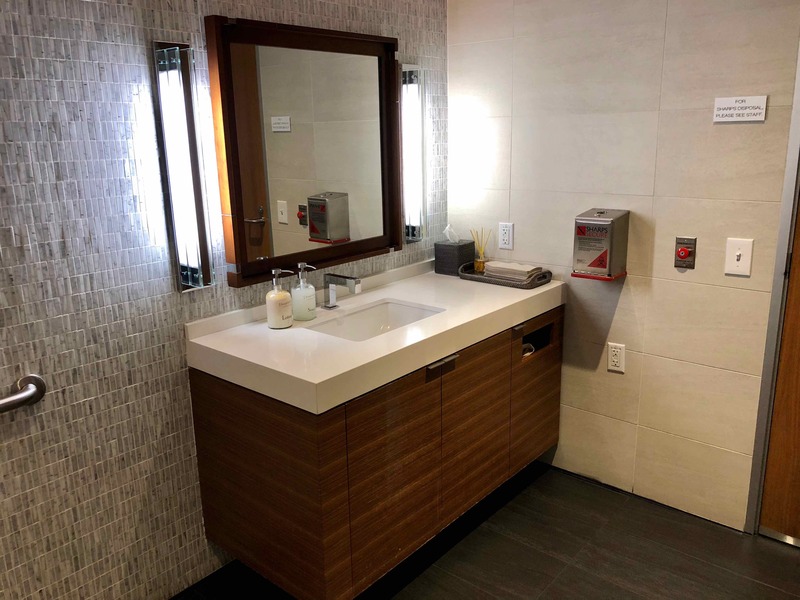 There are two gender-neutral restrooms, which I found to be clean and stylish but a bit bare. The wifi speed was strong at 57 Mbps download/126 Mbps upload but did drop out twice in an hour. Mobile reception is poor due to the materials used in the walls. 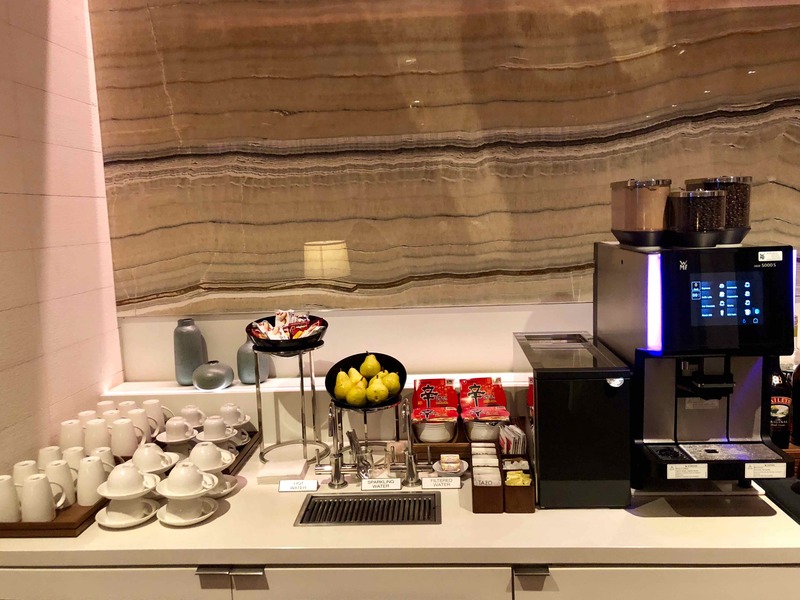 Compared to First Class lounge offerings from Qantas, Lufthansa and Etihad, this facility is quite lacklustre as it does not offer anything special. 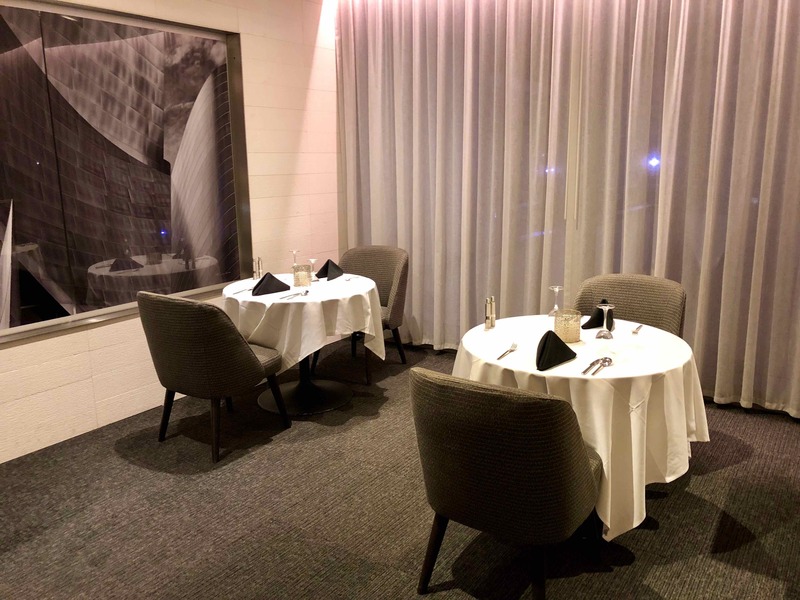 You will find an extensive à la carte menu to enjoy in a quiet space, which is also ideal for those wanting to get some work done, but I would suggest heading to the Business Class lounge after eating to enjoy a beverage on the outdoor terrace and/or a hot shower before your flight. 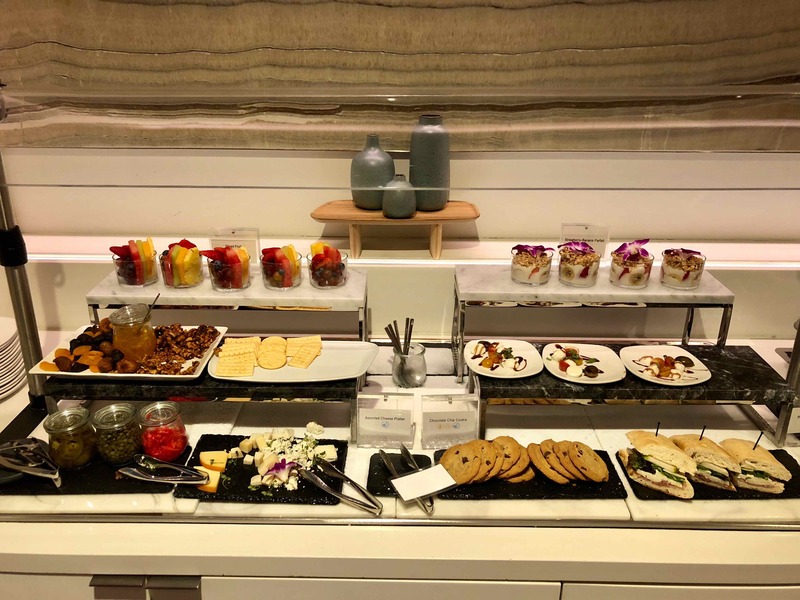 This SPG Category 7 hotel has beautifully appointed rooms, incredible service and one of the best hotel brunches I have ever experienced.